For over 40 years, Thermocool has been Nigeria’s most trusted white goods brand. Our heritage means we’re also the most established supplier in the Nigerian market. Thermocool’s manufacturing legacy combined with our history of consistent product innovation, means we can confidently say that we’ve always been there for you, and we always will be. Thermocool bring peace of mind to the centre of every home with a range of brands that deliver the quality and dependability you expect from 40 years of heritage – Haier Thermocool, Thermocool & Thermocool Engineering Company. PZ Cussons has operated the trusted Thermocool brand in Nigeria for over 40 years however PZ Cussons history in Nigeria dates as far back as 1879 and our pioneering spirit remains constant. PZ Cussons prides itself on enhancing the lives of consumers, with quality, value and innovation across all the markets and brands that it operates both in Nigeria and globally. The home is where the heart is – whether you are working to provide clean clothes, home cooked meals or even just a calm, organised environment, family always takes priority. At Thermocool we understand your needs like no other brand. We have designed in Nigeria for over 40 years and appreciate that whether there has been a power-cut, a big party or even just a huge load of dirty washing, we will always be there for you. 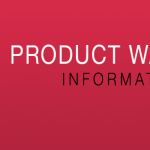 Thermocool aims to provide the latest innovative products, ensuring customer satisfaction and that our commitments to you don’t stop when you walk out the showroom. Our reliable support team, after sales service and famous warranties guarantee that your product remains in good quality after purchase. Household appliances are not just another machine – they are the true and dependable supporter of family life. We aim to help support you so that you can support your family for generations to come. Nigerian consumers have trusted the Thermocool brand since the 1970’s and have selected it as the preferred choice for white goods. The continuing growth and strength of the brand comes from the powerful combination of Haier, the leading white goods manufacturer worldwide, and PZ Cussons to form HPZ. 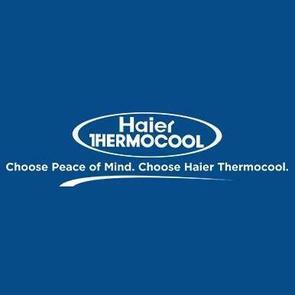 In May 2001 the Haier Thermocool brand was born out of the HPZ joint venture. The partnership between these two world-famous companies aims to deliver quality, reliability, service, innovation and customized solutions to all Nigerian household and beyond.